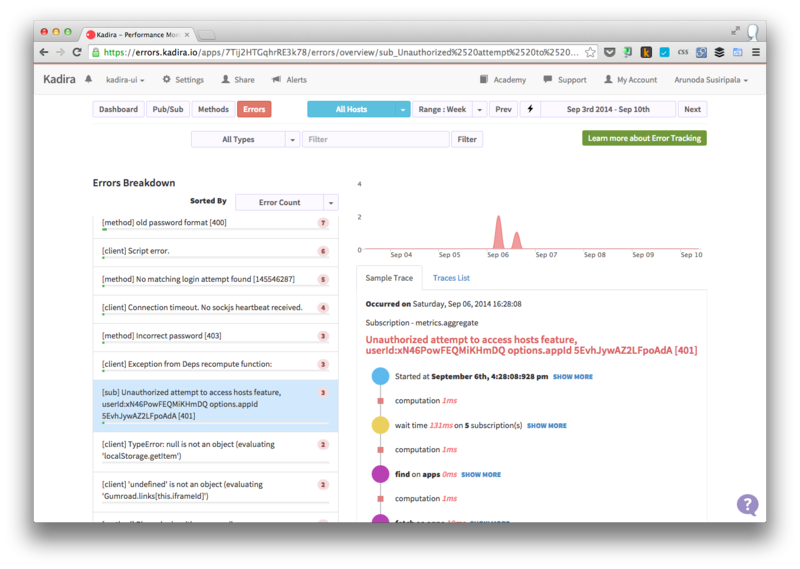 Meteor APM has a built in error tracking solution which can be used to track both client and server errors. 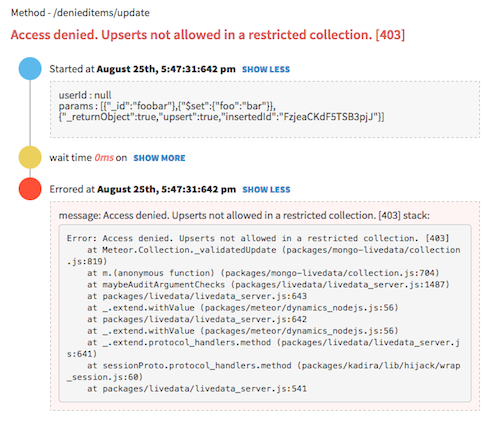 ﻿Meteor APM not only tracks errors, but it also trace errors and shows the context for your error. It includes, all the major events related to the trace. Then you can easily reproduce and fix the error very quickly. See below for example error traces which have been captured. With Zone.JS integration, we can follow Meteor’s async execution path (in client) and identify more information which is not possible before. 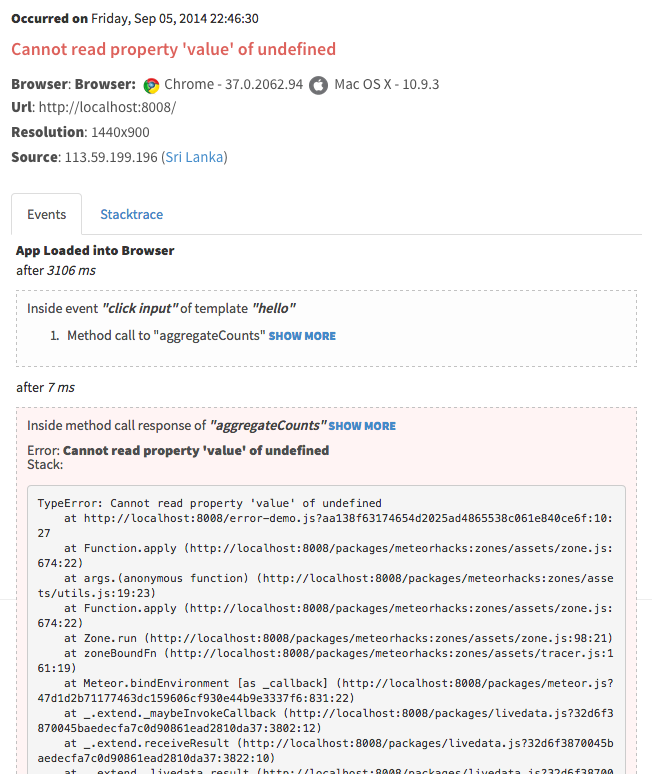 As a result of that, error tracking can be improved and it can be used to capture stack traces over the async execution path.